On the 23rd (Sat), make a trip to Jezzine Barracks and then take in the pleasant sights at Castle Hill. 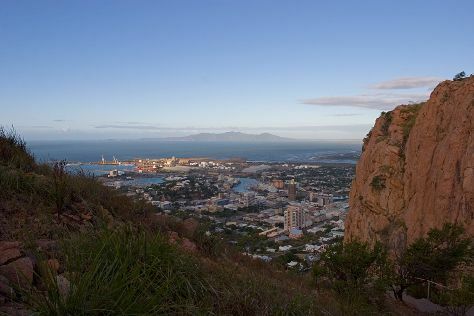 To find ratings, reviews, other places to visit, and other tourist information, refer to the Townsville online sightseeing planner . Sydney to Townsville is an approximately 5.5-hour flight. You can also drive; or take a train. Plan for a bit warmer temperatures traveling from Sydney in February, with highs in Townsville at 37°C and lows at 28°C. Finish your sightseeing early on the 23rd (Sat) to allow enough time to travel to Cairns. Start off your visit on the 24th (Sun): let the kids burn off some steam at Muddy's Playground and then take a memorable tour with Tours. Here are some ideas for day two: take a memorable tour with Tours. To see where to stay, other places to visit, and tourist information, refer to the Cairns road trip planner. Getting from Townsville to Cairns by flight takes about 3.5 hours. Other options: drive; or take a bus. In February in Cairns, expect temperatures between 36°C during the day and 28°C at night. Wrap up your sightseeing on the 25th (Mon) early enough to travel to North Stradbroke Island. Start off your visit on the 26th (Tue): enjoy the sand and surf at Amity Point Beach, take a leisurely stroll along North Gorge Walk, and then enjoy the sand and surf at Cylinder Beach. For photos, more things to do, traveler tips, and more tourist information, use the North Stradbroke Island road trip planning app . The Route module can help you plan travel from Cairns to North Stradbroke Island. Expect little chillier temperatures when traveling from Cairns in February; daily highs in North Stradbroke Island reach 33°C and lows reach 24°C. Finish up your sightseeing early on the 26th (Tue) so you can travel to Mooloolaba. Kick off your visit on the 27th (Wed): hunt for treasures at The Original Eumundi Markets, take in the awesome beauty at Mount Ninderry, and then enjoy the sand and surf at Kings Beach. On your second day here, make a trip to HMAS Brisbane, enjoy the sand and surf at Mooloolaba Beach, and then discover the deep blue sea with a scuba or snorkeling tour. To see maps and more tourist information, refer to the Mooloolaba driving holiday planner. Drive from North Stradbroke Island to Mooloolaba in 4.5 hours. Expect a daytime high around 33°C in February, and nighttime lows around 24°C. 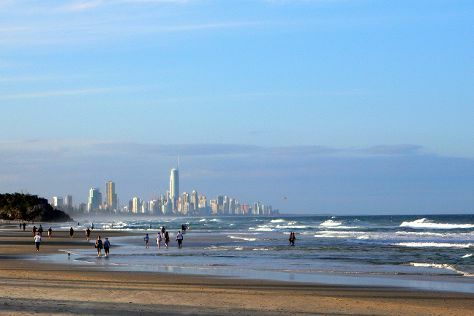 Finish your sightseeing early on the 28th (Thu) so you can drive to Gold Coast. Start off your visit on the 1st (Fri): kick back and relax at Coolangatta Beach, then kick back and relax at Burleigh Heads Beach, and then enjoy breathtaking views from SkyPoint Climb. To find more things to do, ratings, other places to visit, and other tourist information, refer to the Gold Coast trip planner . Traveling by car from Mooloolaba to Gold Coast takes 2 hours. Alternatively, you can take a bus; or do a combination of bus and train. February in Gold Coast sees daily highs of 32°C and lows of 24°C at night. Finish your sightseeing early on the 1st (Fri) to allow enough time to travel back home.